Killer Labz Destroyer is a fierce per-workout that will leave you wanting to go hard at the gym! 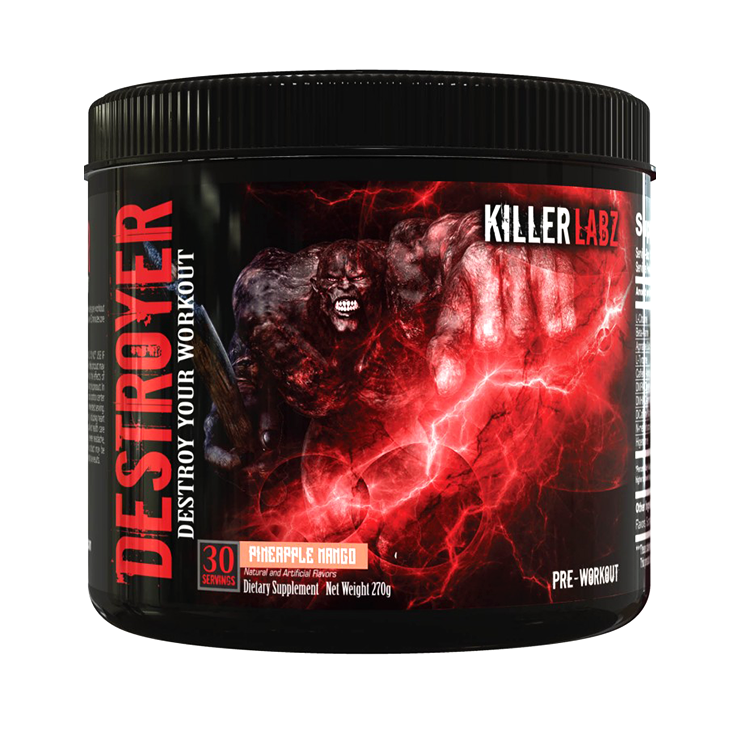 If you’re looking for something that will give you crazy focus and energy, then Killer Labs Destroyer is the one for you! It contains a combination of powerful stimulants like caffeine anhydrous and di-caffeine-malate to give you an instant burst of energy and most importantly energy that is sustained. Killer Labz Destroyer eliminates the crash that you can experience with many pre-workouts on the shelf! Killer Labz Destroyer also contains Beta Alanine to help reduce muscular fatigue and the build up of lactic acid. Think again if you think Killer Labz Destroyer is another pre-workout on the shelf! 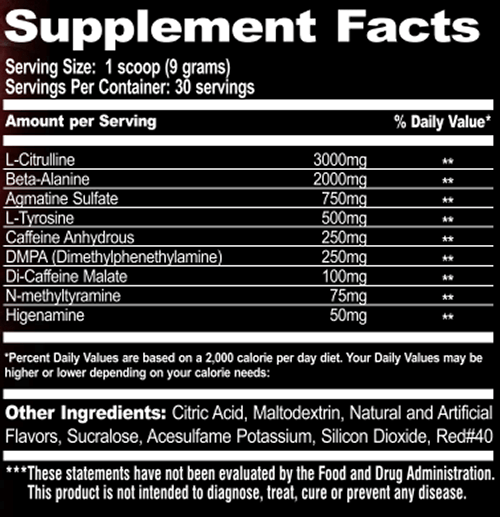 Killer Labz Destroyer will help you workout harder and longer than ever before as it also contains L-Citrulline. L-Citrulline is an ingredient that helps improve overall blood flow to the working muscles and essentially allowing more nutrients to enter cells. Killer Labz Destroyer will help you absolutely kill your workout! Manufacturer recommends to mix one serve in 400ml of water 15-30 minutes before training. Access your tolerance first, with half a scoop.